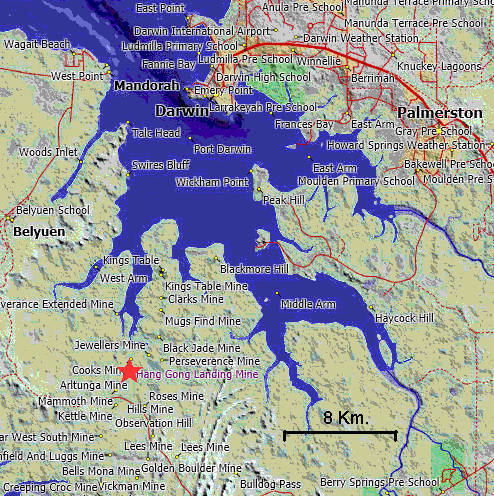 Cassiterite and tantalite have been produced from several pegmatite mines in this region. 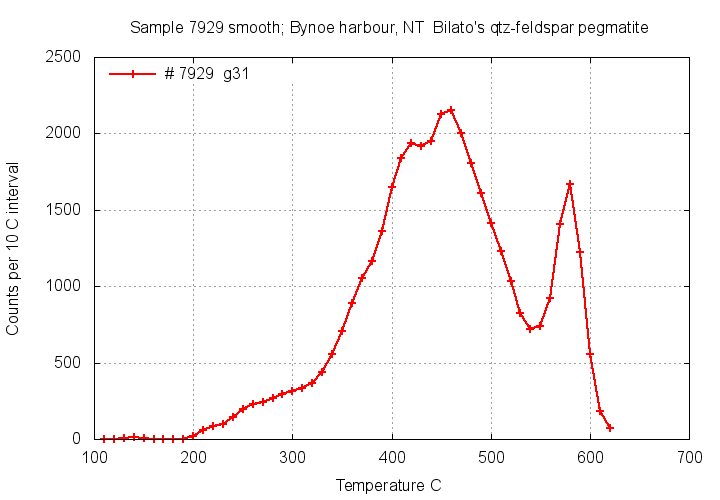 Samples from the Bynoe Harbour area show intense low temperature decrepitation caused by abundant CO2 rich fluid inclusions in most samples. 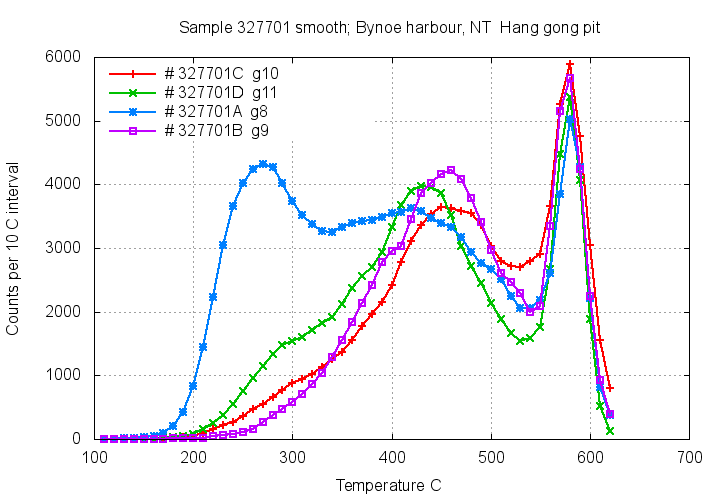 There are interesting variations in decrepitation between 350 and 550 C in these samples, but it was not possible to interpret the cause of these variations. 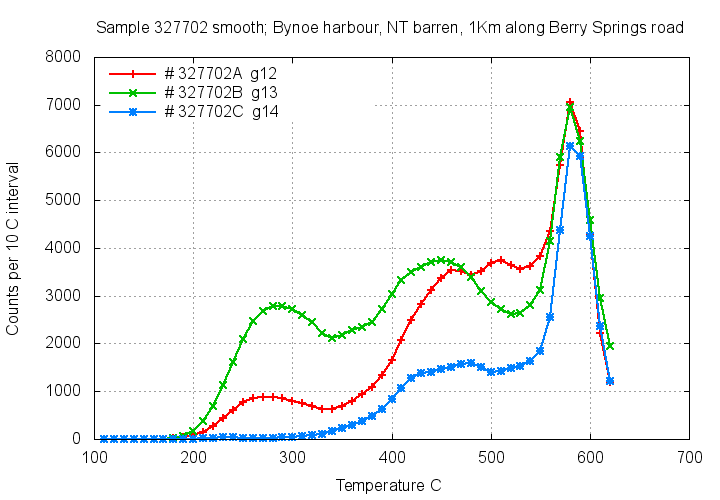 Distal samples still show modest levels of CO2 rich fluids, perhaps as part of an extensive halo of fluid alteration in the vicinity of the main economically mineralized zone. Cassiterite and tantalite show weak decrepitation, with traces of CO2 rich fluids in the inclusions within cassiterite. 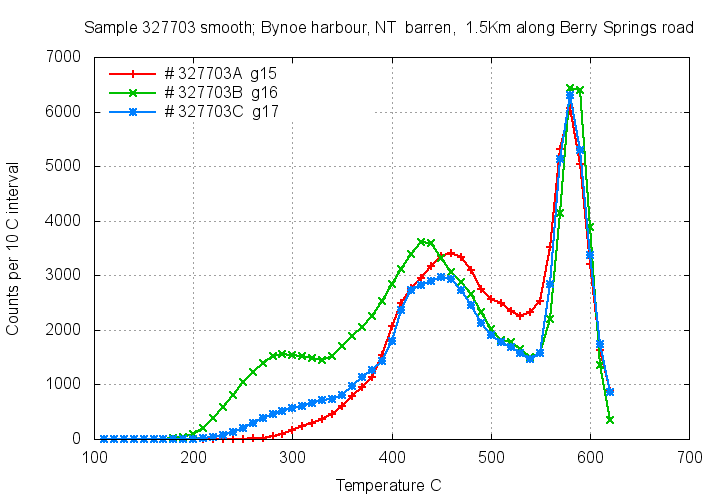 Intense low temperature decrepitation caused by CO2 rich fluids, particularly in sample 327600C (blue). 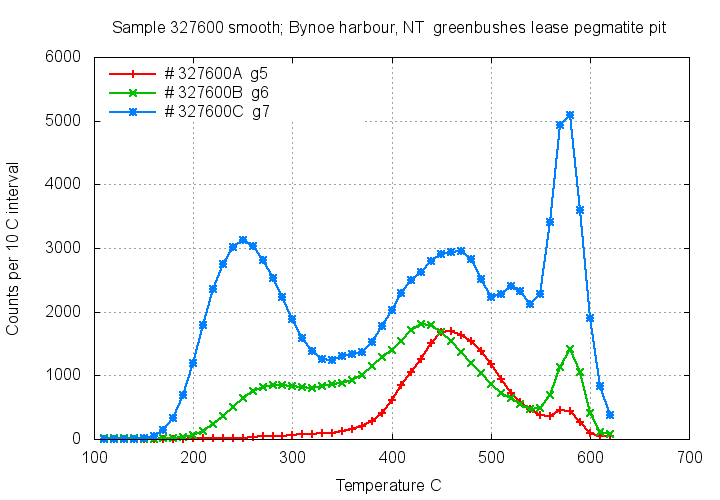 Interesting variation in peaks near 450 C as well as CO2 rich fluids. These distal samples are assumed to be barren, but still show CO2 rich fluids, perhaps as an extensive halo around the economic centre of the deposit. 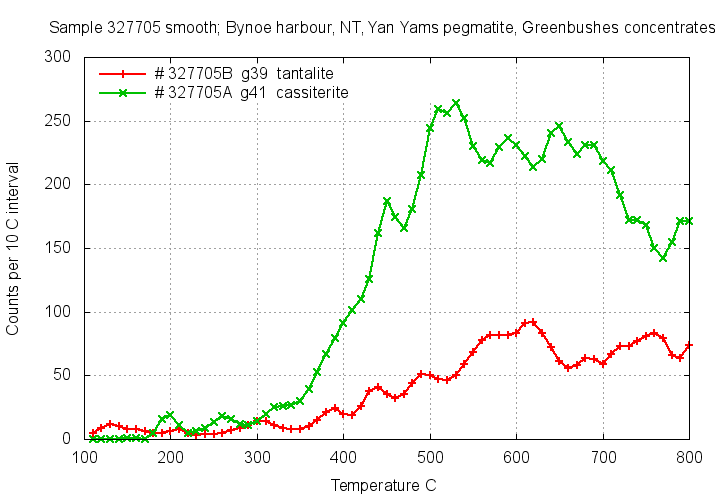 Cassiterite and tantalite also show decrepitation, albeit only at low intensity and with just a trace of CO2 rich fluids in the cassiterite sample 327705A (green).